Your home is your castle, and you’ll want to do everything you can to safeguard it against burglars and other intruders who may want to cause you harm. Taking a proactive approach to protecting your home can help keep you safer and will allow you to feel more secure in your environment. Here are some of the best ways to safeguard your premises. A home security system can be programmed to work while you’re at and away from home so that you can enjoy protection at all times. If an intruder tries to enter your home through one of your doors or windows, your system will send out alert signals so that the police will know to come to your place right away. There are also security systems that come with features like motion detectors and infrared cameras that can capture images of intruders even in the middle of the night. In the U.S., the Second Amendment gives you the right to bear arms. It’s important to note, however, that you should review your local laws to find out the specific types of weapons that you’re allowed to have and which ones are prohibited. If you wish to purchase a gun, you’ll also need to attend a gun safety class and apply for a gun ownership permit. Most places allow people to own pistols and some other types of handguns that can be used for home protection. Local laws may also allow you to own certain types of rifles. 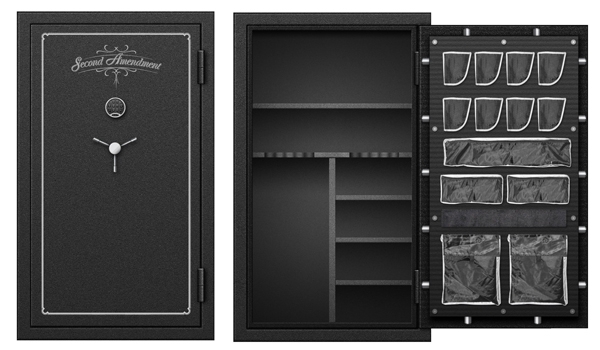 Keeping your firearms in a fireproof gun safe is a great way to store your guns securely. Doors that are old or made with hallow cores are often easy to kick in and make it easier for intruders to enter your home. Inadequate door locks can also make you more susceptible to break-ins. It’s best to have entry doors that are made of solid wood or have wood cores with steel wrapped around them. Your doors should also include durable locks with deadbolts, or you can invest in a smart lock that comes with features like voice control and keyless entry. You should also have locks for your windows. You can keep dangerous individuals at bay by taking the right precautions to protect your home from intruders. A few simple improvements can make a huge difference when it comes to safeguarding your property.